The Metz SB 15-15 Mini Octagon soft box is ideal for smaller product, passport and portrait photographs. Photographers can use the folding Mini Octagon soft boxes to swathe their subjects in soft and harmonic lighting. 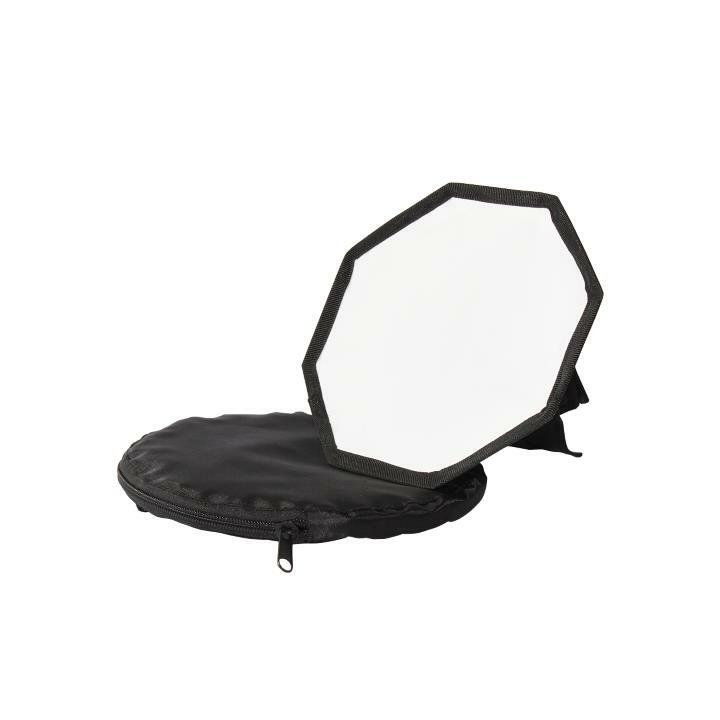 The Mini Octagon soft box can very easily be attached to any compact flash unit using a Velcro strap. The integrated rear diffusers within the Mini and Mini Octagon soft boxes allow for even more creative light diffusion. After the photo session, the Mini and Mini Octagon soft boxes can be stowed and transported in their practical accompanying bags.